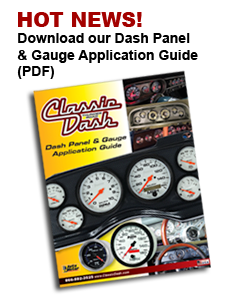 Click on the dash panel and gauge type of choice and see how your new Classic Dash will look. Bright anodized bezels, glowing orange pointers, intense blue LED through the dial lighting scheme, and complete line of precision gauges set this series apart. Advanced 90 degree air core movements and simple three wire installation characterize these high performance instruments. Electric sending units keep hazardous fluids in the engine compartment sending collected data via an electrical signal to quick reacting, precise air core movements to give you all the information that you need and nothing that you don't. Bright anodized bezels, polished pointers, race proven movements and real carbon fiber dials set this series apart. Bright anodized bezels, glowing orange pointers, Cobalt blue LED through the dial lighting, set this series apart. Black by day, blue LED lighting by night. Intense Pointer Illumination. Bright anodized bezels, glowing orange pointers, intense green LED through the dial lighting scheme makes this one of our most popular gauges sets. Stark white dials, bright orange pointers, and subtle black bezels make this extensive high performance line the perfect match for any application. Classic Phantom design with a twist. 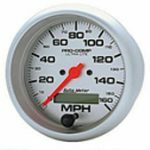 Combines traditional hi-performance meters w/bold outlined white on white dials, reverse white LED through the dial lighting, and glowing red pointers. 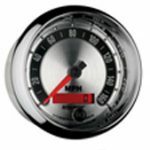 This diverse series of gauges combine the classic 'Tough' Auto Meter look with over 30 years of race proven design. Advanced 90 degree air core movements and simple three wire installation characterize these high performance instruments. 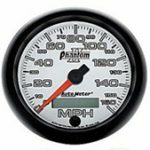 The same race proven movements used in Auto Meter's original Sport-Comp gauges, this series adds superior White LED through the dial lighting technology and glowing red pointers. 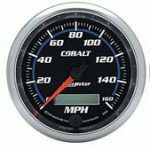 Easy to read silver dials and high contrast orange pointers combined with Auto Meter's most diverse gauge offering make this light weight race proven gauge a competition favorite. Features race proven Ultra-Lite movements and superior reverse throught the dial LED lighting, featuring white numbers and markings with amber accents and glowing red pointers for superior visibility. Bright anodized bezels, this series adds superior White LED through the dial lighting technology and glowing red pointers. 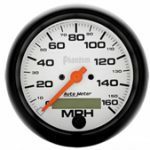 Easy to read black dials and high contrast orange pointers combined with Auto Meter's most diverse gauge offering make this light weight race proven gauge a competition favorite. 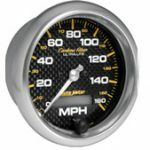 Classic Instruments Yellow AutoCross Six Gauge Set 3-3/8 Speedo & Tach Auto Cross Yellow 3 3/8" Speedo, Tach, 2 1/8" Fuel, Oil, Temp, Volt with Black Low Step Bezel Flat Glass Lens	with built in Shift-Lite. 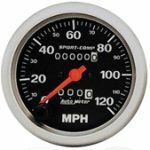 Classic Instruments Gray AutoCross Six Gauge Set 3-3/8 Speedo & Tach Auto Cross Gray 3 3/8" Speedo, Tach, 2 1/8" Fuel, Oil, Temp, Volt with Black Low Step Bezel Flat Glass Lens with built in Shift-Lite. 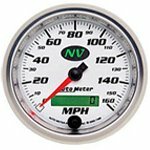 Molded UV Resistant ABS Instrument Panel will replace the stock gauge panel. 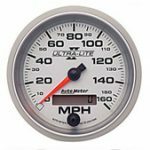 This panel comes complete with your choice of Auto Meter & Classic Instruments AutoCross Gauge. 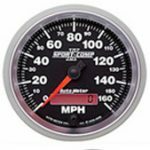 *Wiring harness and sending units are NOT INCLUDED with Sport Comp Mechanical, Ultra-Lite Mechanical and Phantom Mechanical gauge kits. Concourse kits come with their own wiring and sending units for the water temp and oil pressure gauges. LED kit not included. © Copyright 2019 Classic Dash. All Rights Reserved.